You know what needs to be done and have the technical skills and experience needed. However, sometimes trying to communicate and influence others is exasperating, exhausting and takes too much energy. You are not alone, leaders and project managers find that connecting with others, creating agreements and alignment to be the hardest part of their role. The cost of not effectively communicating and influencing is misalignment, low productivity and poor results. The environments we create are important. In the face of stress, judgment and negativity, people divert energy to merely surviving rather than being creative and innovative. Results and effective outcomes suffer. You can learn to create open-minded environments for dialogue, shared understanding and cohesive actions. This program is for leaders who want to create more positive and productive relationships with stakeholders with different perspectives. You will be equipped to influence others to collectively achieve goals and positive outcomes efficiently. You benefit from a supportive group of peers and build valuable connections. You receive feedback and both support and challenge. You learn valuable tips and skills as they are needed to create real impact. You experience a sense of accountability and can readily see your progress on goals. You get to observe others and learn from their experiences. Your commitment to the process inspires learning and action taking. Research shows that many of us develop positive habits when we make commitments and are supported by others. The process is flexible to meet the needs of participants. This program incorporates individual and group coaching and skill-based training with peer support. You will be a part of a group of colleagues who are in similar roles who will meet virtually twice a month for 90 minutes for three months. Participants will set goals and learn together. We will focus on how to build effective relationships and how best to influence. The focus will be on increasing awareness and taking action for results. 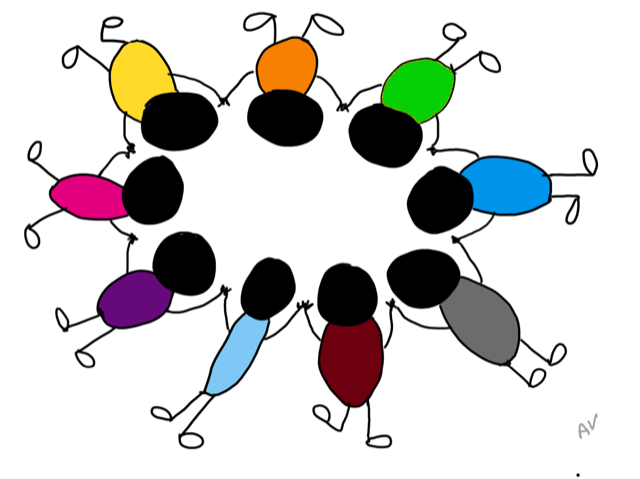 Participants will offer challenge and support to one another and will learn from each other. In addition to the group coaching, each participant will have several individual coaching sessions with a professional coach who has worked with organizations world-wide and has a wealth of experience. The first coaching session will be to clarify your situation and agreement on goals. There will be a midpoint or a closing evaluation session during the 3-month experience. The areas addressed will depend on the individual group members and the needs of the group. After the needs analysis, we will identify what is most important and provide support around these issues. Participants will learn aspects of the OASIS Conversation process to incorporate an open mindset and create positive and productive environments. Different skills will be reviewed and practiced each session. In addition, participants will practice the skills in the workplace and report back to the group the impact and related reflections. Using real cases with a group of committed peers is a valuable and effective way to test ideas and practice skills. 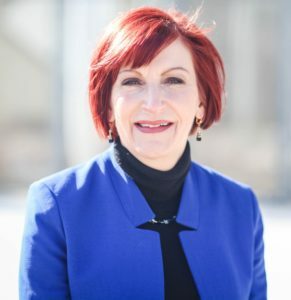 Ann Van Eron, Ph.D., MCC is founder of Potentials, a global coaching and organization development consulting firm with over 30 years experience coaching leaders and working with teams and organizations all over the world. Ann supports people in having open-minded conversations for unparalleled results using her tested OASIS Moves® process. She creates team and organization environments of respect and dialogue that facilitate achieving goals. Clients include Fortune 100 companies, government and nongovernmental organizations and privately held organizations. Ann is the author of OASIS Conversations: Leading with an Open Mindset to Maximize Potential. She is certified as a Master Coach and has a doctorate in Organization Psychology from Columbia University. The next group will start in February.